The Mad Expectations party and gift shop doesn't just have a complete range of party decorations and accessories, we also have a fantastic range of gifts available. 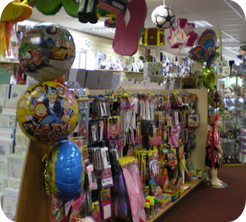 If you're in need of gift ideas for a friend or loved one, we stock a great range gifts that includes birthday presents, anniversary gifts, christening gifts and even Christmas presents. 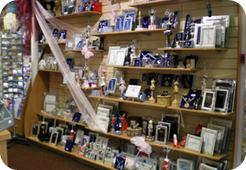 Our friendly staff are on hand to help you browse through the extensive range of gifts we have in store and can offer advice on everything from finding personalised gifts for him to wedding anniversary gifts for her.